So when Dr. Grind offers her a space in The Infinite Family Project, she accepts. Housed in a spacious compound in Tennessee, she joins nine other couples, all with children the same age as her newborn son, to raise their children as one extended family. Grind's theory is that the more parental love a child receives, the better off they are. This attempt at a utopian ideal-funded by an eccentric billionaire-starts off promising: Izzy enjoys the kids, reading to them and teaching them to cook. She even forms a bond with her son more meaningful than she ever expected. But soon the gentle equilibrium among the families is upset and it all starts to disintegrate: unspoken resentments between the couples begin to fester; the project's funding becomes tenuous; and Izzy's feelings for Dr. Grind, who is looking to expunge his own painful childhood, make her question her participation in this strange experiment in the first place. 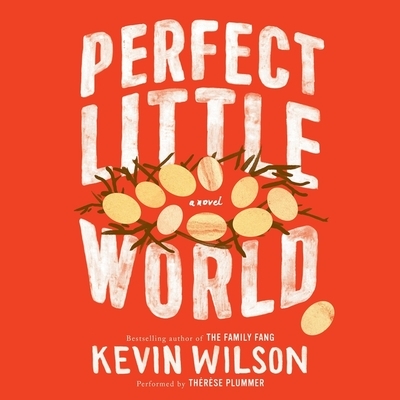 Written with the same compassionate voice, disarming sense of humor, and quirky charm that made The Family Fang such a success, PERFECT LITTLE WORLD is a poignant look at how the best families are the ones we make for ourselves.